APRIL - "SPRING INTO ACTION"
This Active , Antioxidant Serum contains concentrated amounts of Extracts of Bearberry ;Daisy; and Licorice Roots. Japanese Green Tea; CoQ10 ; Vitamins C & E , and Peptide -4. 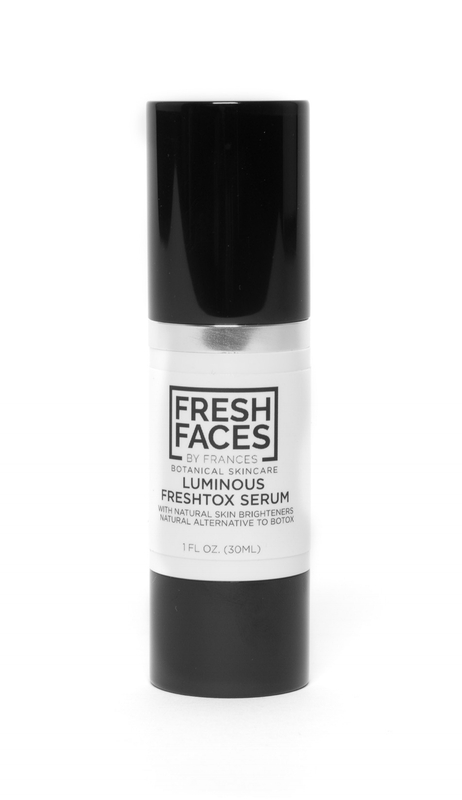 Natural Ingredients make LUMINOUS FRESHTOX SERUM SAFE TO USE DURING SPRING & SUMMER MONTHS ! Clinical Tests provides test results of reduction of deep wrinkles, reduction of main wrinkle ( forehead) density. Prevention of hyper-pigmentation or dark spots, and significant lightening ability increase along with lifting and toning. Apply a thin amount to skin , targeting specific areas, on entire face and declote’ areas. Apply after cleansing & toner and before moisturizers. For best lightening results, use twice daily, morning and evening, and follow with DAILY HYDRATING SPF 30 FACE & BODY. Get a head start to prevent age/brown/ sunspots. The serum is made up of small molecules that can penetrate deep where melanin is produced and deep wrinkles occur. APPLY : DAILY ! EARLY ! OFTEN !